Re-imagining the traditional incandescent light bulb, OLED Classic highlights the beauty of OLED light with its sleek, contemporary design. 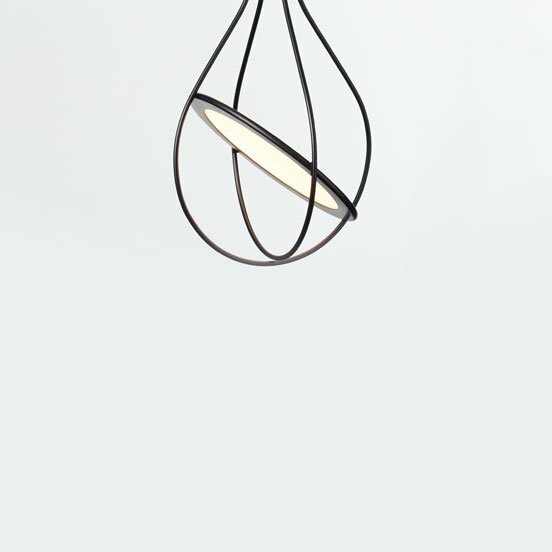 Featuring a delicately suspended disc of OLED, this stylish pendant provides all the benefits of OLED light including no uncomfortable glare or heat. OLED Classic pendants are now available from Applelec. 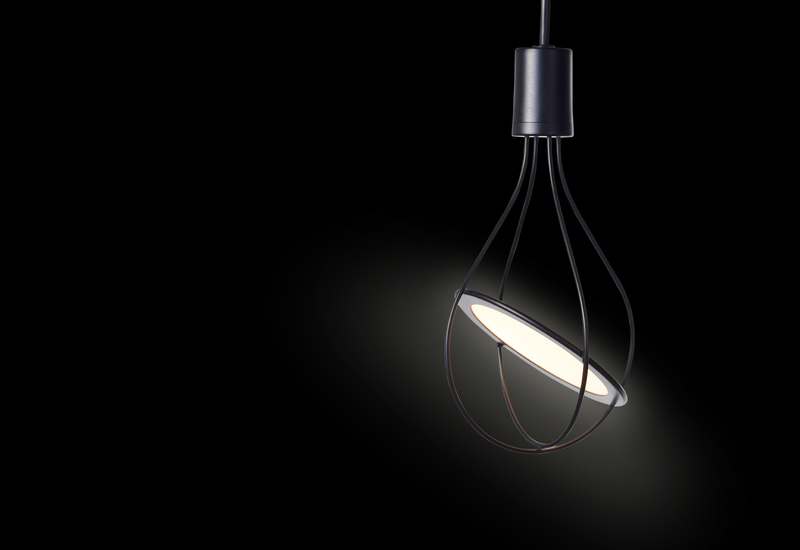 The OLED disc can be moved within the pendant frame to direct light where required. the oled light source can be tilted 280° within its frame (140°+140°), whilst the frame itself can be rotated 140° L-R, R-L (please See brochure images for further details). 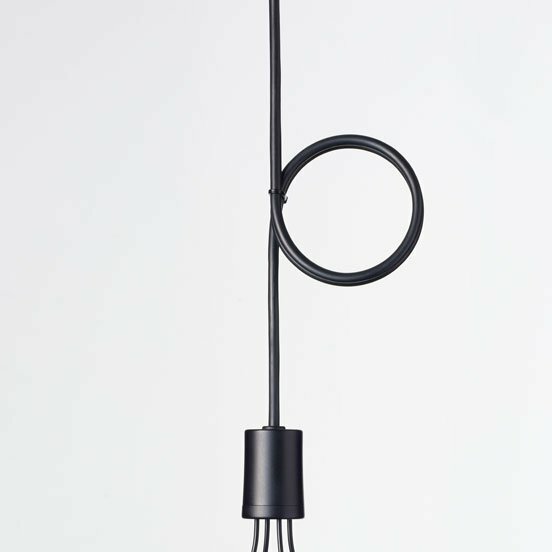 THE OLED PENDANT CAN BE STYLED IN TWO WAYS, WITH EITHER A DOUBLE OR SINGLE FRAME DESIGN. BOTH OPTIONS ARE INCLUDED WITH EACH PENDANT, simply remove the second frame wire to create a single frame pendant. Signalling a new era in decorative lighting, the OLED light source appears to glow independently within its frame, without obvious cables and power connections. 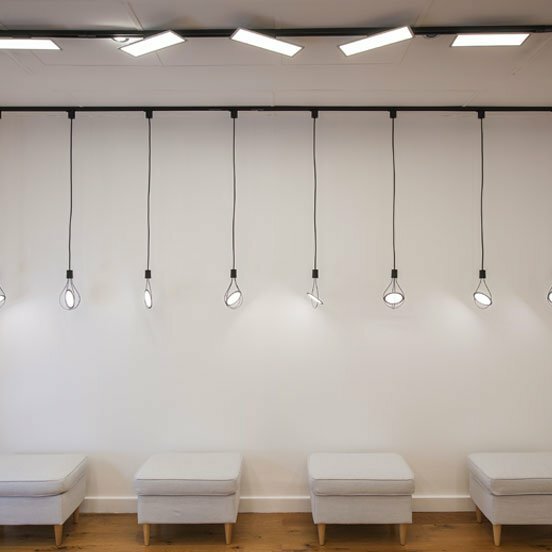 The OLED Classic pendant highlights the potential for designers when the need is removed to disguise the lightbulb housing required by traditional pendant lights and other light styles.